Nate could hit the U.S. Gulf Coast near New Orleans this weekend at hurricane strength. MANAGUA, Nicaragua — Newly formed Tropical Storm Nate was blamed Thursday for at least 22 deaths in Central America as it dumped rain across the region on a path that would carry it toward a potential landfall on the U.S. Gulf Coast as a hurricane over the weekend. Louisiana officials ordered some people to evacuate coastal areas and barrier islands, and evacuations began at some offshore oil platforms in the Gulf. The U.S. National Hurricane Center said the storm could cause dangerous flooding by dumping as much as 15 to 20 inches of rain as it moved over Honduras, with higher accumulations in a few places. It had maximum sustained winds of 40 mph by Thursday afternoon and was likely to strengthen over the northwestern Caribbean on Thursday night and Friday before a possible strike on the Cancun region at the tip of Mexico’s Yucatan Peninsula at near-hurricane strength. It could hit the U.S. Gulf Coast near New Orleans over the weekend at hurricane strength. Nicaragua’s vice president and spokeswoman, Rosario Murillo, said that at least 15 people had died in that country from the storm. 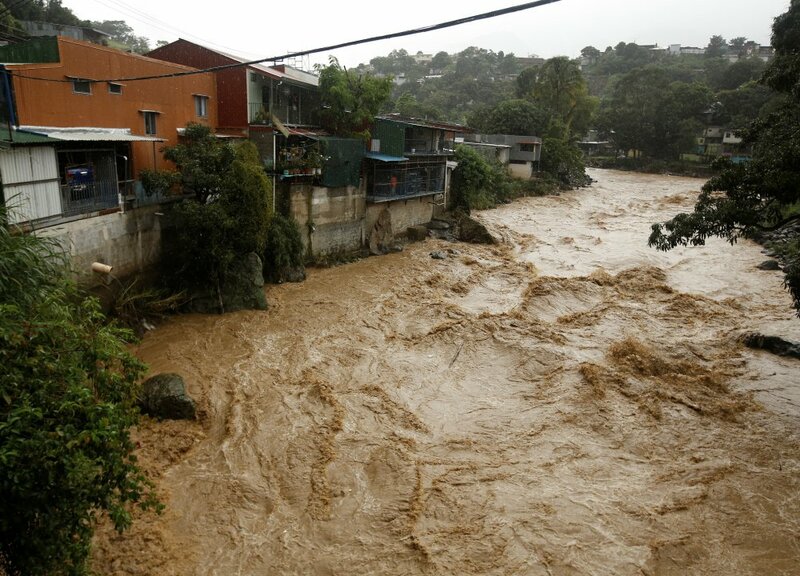 She didn’t give details on all the deaths, but said two women and a man who worked for the Health Ministry were swept away by a flooded canal in the central municipality of Juigalpa. The government closed schools nationwide.